If you want to optimally protect your vision and decrease your risk of developing age-related macular degeneration and cataracts, you should know that a number of studies indicate that specific nutrients are vital to supporting the health of your eyes and improving your vision. Some nutrients nourish the cells in your eyes and visual pathway. Other nutrients play critical roles in preventing free radical- induced damage to your retinae, which is a primary cause of age-related macular degeneration (AMD) and vision deterioration. Vision Support is a concise, professional grade blend of all of the nutrients that are known to nourish your eyes and assist the natural protective mechanisms that are at work to protect the tissues in your eyes, including your retinae. 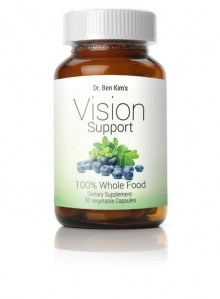 All of the nutrients in Vision Support are derived from quality whole foods and herbs. In short, this professional grade formula is specifically designed to help you maintain optimal eye function and prevent damage to the tissues in your eyes. Vision Support provides a special blend of lutein and zeaxanthin from marigold flower extract. 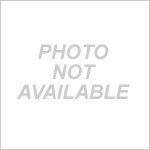 Lutein is a yellow-orange carotenoid that exists in plants to protect leaves against free radicals that are created whenever sunlight hits chlorophyll. Much in this same way, lutein acts to protect your eyes against free radicals that can cause macular degeneration and cataracts. Zeaxanthin is another carotenoid that is found alongside lutein in green leafy vegetables and other plants. Zeaxanthin is found in high levels in the macular section of the eye, where it absorbs blue-violet light and neutralizes free radicals. Together, lutein and zeaxanthin provide an armor-like defense for your eyes. These nutrients can help rebuild macular pigment and protect your eyes against harmful blue light. The net effect is protection against deterioration of vision. People who have age-related macular degeneration (AMD) typically have only 60% of the total carotenoids that are found in healthy eyes. Research involving AMD patients has shown a 20% decrease in zeaxanthin levels. 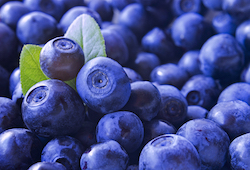 Vision Support also includes organic bilberry fruit, which is abundant in anthocyanins and polyphenols, both groups of antioxidants that can provide significant protection against oxidative damage in your eyes. Anthocyanin content is bolstered by black currant seed extract, one of nature's richest sources of this class of antioxidants. The amount of anthocyanins in one capsule, if taken daily, can improve visual acuity at night and also ward off fatigue-related visual impairment. Night vision may also be supported through bilberry's ability to increase regeneration of a pigment called rhodopsin, which is essential to clear night vision. Bilberry supports healthy blood circulation in the eyes, which helps reduce eye strain and promotes healthy eye function in general. Astaxanthin is a carotenoid that is known for its unique ability to prevent oxidation of your retinal tissues by UV rays. It provides many of the same benefits (improved blood circulation, neutralization of free radicals) as lutein and zeaxanthin, but is considered more powerful in its effects. Vision Support includes the highest quality astaxanthin available - it is carefully extracted from algae without any chemical solvents, and is exceedingly stable. Please note that this formula comes with a guarantee: If, after trying it daily for half a year or more, you don't feel that it's helped your eyes and vision in a measurable way, let me know and I'll see to it that you're given a full refund, minus shipping. Simply put, I fully stand behind the quality and effectiveness of this target formula. In addition to ensuring regular intake of the nutrients mentioned above, it's important to remember that your vision can be diminished by a number of factors, including poor overall health, poor food choices, lack of quality rest, lack of activity, and prolonged periods of staring. Mazza, G. Functional Foods, © 1998 Technomic Publishing Co., Inc.
Yance, Donald R. Herbal Medicine, Healing & Cancer ©1999 Keats Pub. Bhat KS, John A, et al. “Effect of pigmentation on glutathione redox cycle antioxidant defense in whole as well as different regions of the human cataractous lens”. Exp Eye Res (1991 June) 52(6):715-21. This product is not intended to treat, cure or prevent any disease. I'm on my second bottle and I'm about to order more. This is amazing. I wear contacts and my vision has been slowly diminishing year by year. I just had my annual eye exam and this is the first year my prescription has remained the same as the previous year. If my contacts were bothering me and I switched to my glasses, I would need to keep them on while looking at my computer monitor in order to see clearly. Last week I wore my glasses once to work and I briefly removed them as I don't like the feeling of wearing them. My vision, while viewing the monitor, was just as clear as if I were wearing my glasses. I only needed to wear them when I was walking around and for driving. This is great stuff! 10/10 would recommend! Great! I didn't notice a difference until my third bottle but I had to drive unexpectedly at night and no more halos, no glare, I felt safe for the first time in years. I don't wear glasses and this has really helped!!!! I am a retired science teacher and when my optometrist told me that drusen bodies were getting bigger in my retina, I looking into what I could do to slow down or halt progression of macular degeneration. Within one month of starting vision support I noticed that everything looked a little clearer. I feel my visual acuity has actually improved. I am excited to go back for my next eye exam and see what my optometrist has to say. Thank you for this high quality formula. I stopped wearing my contacts 2 years ago, and began taking vision support about 8 months ago. My left eye improved from 6.25 to 4.50. My right eye was 4.75 and is now 3.25. I believe that with more time and following your eye exercises and acupressure, my eyes will continue to improve :) Thank you so much Dr. Ben Kim!! !